For over 53 years, Gary Stempien has devoted his life to fitness, strength training and exercise. 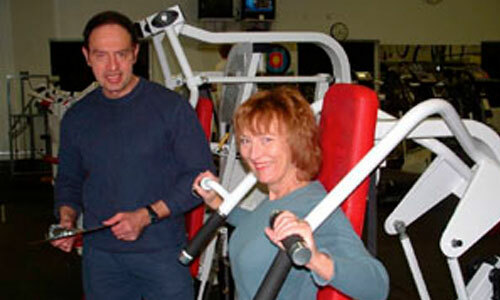 A health club industry veteran of 39 years, he has owned and operated a chain of various health clubs. As the creator of the G.S. 20 Workout, he has spent many years developing and testing this optimal 20-minute training system for people who want results in the least amount of time. Gary is also a double Master (Teacher of Black Belts) in Korean Karate and Japanese Ju-Jitsu and has black belts in two other martial arts disciplines. I first started doing resistance training in 1960. I was on the football team and I became very serious about strength training. So, I brought my teammates over to our house and started training them in our basement with equipment I crafted out of wood. Then I received an athletic scholarship to play college football and during the summer I took on various part-time jobs. One of these jobs was painting a house in Florida. I had heard about an eccentric man living in Florida who was developing some “bizarre” exercise equipment. And who utilized “bizarre” training principles. Although I wanted to meet him, I was cautioned about him by some who reported that communicating with him might be a challenge. Well, I did get to meet him. It was 1971, and this was the beginning of a lifelong friendship. Arthur meant a great deal to me. He taught me so much. And I am committed to carrying on his legacy through the continued development and promotion of my training system – the G.S. 20 Express Workout™.